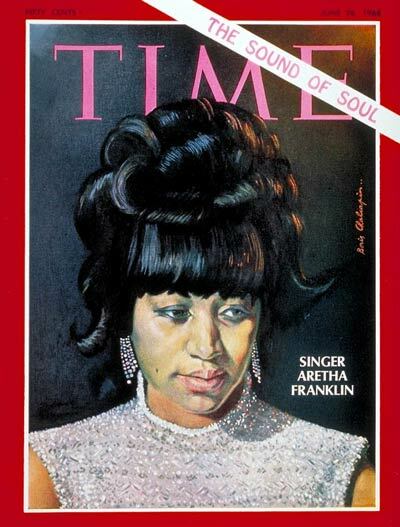 It was fifty years ago today- The Queen of Soul- Aretha Franklin appeared on the cover of Time Magazine. She was one of the great stars of music in 1968 with two sensational albums Lady Soul which went to #2 on the album charts and Aretha Now which went to #3 and seven Top 40 Billboard hit singles. In 1967 she signed with Atlantic Records- after years at Columbia and all the sudden with the great producer at Atlantic- Jerry Wexler- Aretha reached her potential. Her success of course would continue on- but 1967 and 1968 would have to be Aretha at her peak.